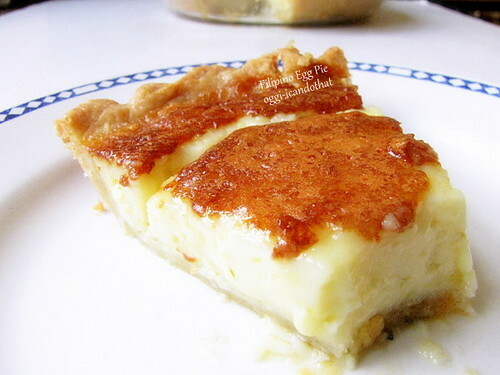 Egg Pie ~ I Can Do That! That look so good. I have yet to have a good one. I can't wait to try your recipe. I actually add a rather British twist to this by adding cinnamon and nutmeg to the custard! It's so comforting, especially on rainy evenings like the ones we've been having lately. 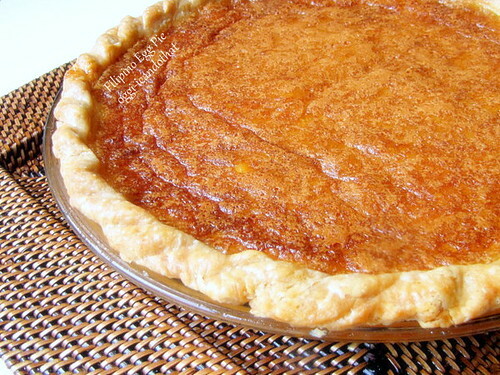 your pie looks so creamy and delicious!! I would love to try it!! You know a friend blogger based in TExas won a year's supply of eggs by submitting a recipe of this...sayang I would have been happy if you won too!